Below is what will be showing on the telenovela, My Perfect Family about the five Guerreros siblings in pursuit of the American Dream showing in April on Telemundo. Julian and TJ are arrested and taken to the same youth centre that Erika and Alma are at. Vicente is taken to hospital after Marcos beats him up. Vicente makes a statement to the police while in hospital. Marisol lends Tamara a phone, and she calls Patas to let him know where Lily is. Patas represents Marisol and Julián in court. Ashley promises José María that things will change. Rosa realises that Vicente is in danger. Patas confronts Ashley. Camila finds work as a prostitute. Still believing that she killed the Russian, Francisca prepares for her trip to Mexico. Francisca is summoned to the courtroom, but she fails to appear. Marcos arrives at Vicente’s business and pulls a gun on him, but Antonia intervenes. Patas confesses to Erika that he has feeling for her. Meanwhile, in court, José María argues that he is the best person to take care of his brothers. Megan offers to lend Genesis money. Camila learns that Rosa’s boyfriend is dead. Marisol is attacked by one of the guards at the youth centre. Daniel has a business proposition for Rosendo. Patas abducts Lily, but she manages to make him reconsider. Julian gets even with his attackers. Daniel cheats on Irma. TJ teaches Julian how to shoot. Ashley tricks Patas into putting the food truck in her name. José María gets angry with Julian. Irma gets Daniel to sign the permit to take Danielito. 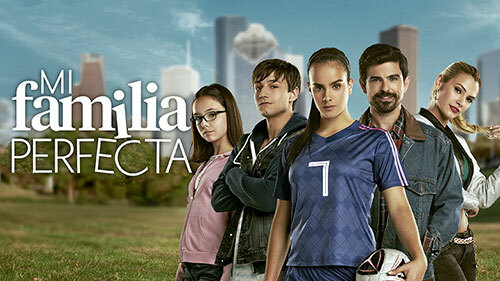 A suspicious Antonia follows Vicente to Rosa’s house. Julian spends the night with Penelope. Ashley attempts to ingratiate herself with Irma. Andrea kisses Santiago. Erika gets a judge to give Irma a hearing to obtain custody of Lily. Panchita tells Irma that the Russian boss kidnapped Danielito. Camila comes to Irma’s aid. Rosa and Miguel Ángel go to a disco and end up kissing. Irma begs the Judge to give her custody of Lily. 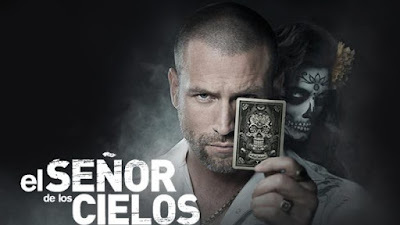 Ashley tells her mother and Derek that she will not betray José María. Dakota gets angry with TJ. José María and Erika declare their love. The Guerreros receive an eviction notice. José María makes an incriminating discovery in Julián’s room. Amparo apologises to Miguel Ángel. José María and Julián argue with Rita. Panchita pretends to be homeless to Danielito in order to get money. Erika is left in a critical condition after being involved in a road accident caused by Ashley. Francisca gives Camila advice. Julián seduces Martita. Patas tells Erika the photo sent by Ashley was a fake. Rosa gets intimate with Miguel Ángel. Camilla finds herself conflicted. Ashley threatens Patas. 2019 Erika’s mother Mireya visits her in hospital. Julian seduces Martita. Mireya learns that Patas is willing to be the donor for Erika’s transplant. Santiago makes a confession. TJ becomes jealous seeing Julian with Martha. Someone else comes forward to act as donor for Erika’s kidney operation. The names of the players who will go to Miami are revealed. With false documents, Rosa returns to work with Antonia. Julian reluctantly helps Eddy. The doctor reveals that there were complications with the operation. Julian asks TJ to take Maddox and hide him. A furious Ashley vows to get revenge. Irma reassures Patas that she will fight for legal custody of Maddox. Dakota finds out through Ashley that she is in love with Julian. Premiere episodes of My Perfect Family air on Telemundo from Mondays to Fridays at 17h00. The repeat airs at 20h00 on the same night. The omnibus airs on Saturdays and Sundays at 17h00.